Be sure to follow www.aboybackfromheaven.blogspot.com by email. Quickly go to the blog, scroll down the right side, and enter your email where prompted. There will excerpts from the upcoming book and more details about Matthew's amazing journey in coming posts. Never miss another post! For most kids, both native and visitors, a trip to the Audubon Zoo in NOLA would be a very welcome surprise on a Sunday afternoon. That is exactly what we set out to do yesterday. Getting up early for Sunday morning donuts, Conner beat Matthew to breakfast. After an unusually busy and tiring weekend, Matthew slept in a while longer. Billy got up from the table to ask what time we would be leaving for church. I looked over at Conner with a trace of milk around his little mouth and said I would like to do something different today. How about a family field trip of sorts. Something we haven't done in a long time. Something for a change of scenery and some family time together. Conner had a day last week that brought with it numerous memories of Matthew's hospitalizations and illness. One of the books he chose to read for his nightly school reading log was filled with things that reminded him of how sad he was when Matthew was sick. This particular evening he chose to read to Matthew. Working in the office, I could hear how the reading was going. About three pages into the book, I could hear Conner's voice beginning to crack, and by page five he was in full on sobs. I went in to see what was wrong and his reply was how the little boy in the story made him think of Matthew. To Conner, many of the wounds are still very raw and open, and will probably be that way for some time. We worked through this occurrence and things were calm by bed time. After looking over at Conner's sweet little face on Sunday morning, I felt overwhelmed by the need to just have my three boys close at heart on Sunday. We needed a day filled with each other's smiles and some laughter. We needed to be reminded that New Orleans is a city of culture and fun activities, not just where we go when Matthew gets sick. Sunday was forecast to be a great September day in South Louisiana. Perfect for some outdoor fun at the zoo. Conner heard his daddy and I discussing the plans and his eyes lit up with excitement! The last visit to the zoo for Conner had been a couple of years ago when we went for his field trip in first grade, which was less than a perfect day. The buses had been late in arriving from Baton Rouge, the temperature was FREEZING for Louisiana, and our trip was just hours before my daddy had to be rushed to the hospital. Conner had made one other trip to the zoo, without Matthew, over the past few years. The previous one had been a distraction and aversion of sorts. While Matthew was in Tulane Hospital in 2009 for nearly a month, Billy and Conner came for a visit one Saturday. I needed some fresh air and some time with my little man, so he and I ended up at the zoo. I was beyond exhausted from days and days of hospital life. Conner's mind was 1,000 other places. But we wondered around pretending to each other that we were having a great time. The company was perfect, but our hearts just weren't into it. Today would be different. Conner wanted to make it even more interesting by letting it be a surprise for Matthew! After Matthew woke up and had his breakfast. He dressed and got ready for the day. We told him we would head out for a Sunday morning drive. No questions were asked. Everyone loaded up. The route to New Orleans is nearly robotic for us. We have had to drive it so frequently. Rather than jumping on the interstate to get there in good time, we decided to take a leisurely drive into NOLA via Airline Hwy. It takes about 20 minutes longer, but we were in no rush. Since it was a different route than what we normally take, Matthew did not associate the drive with a trip to the hospital. Matthew tried to guess our destination as Conner refused to give him hints. As we edged closer and closer into the city, I could see Matthew become more serious in his thoughts. He began to guess less and less as we started down familiar streets near the hospital. I realized this area of the city is still associated, in his mind, with the hospital. It wasn't until we were literally turning off of Magazine Street into the zoo entrance did he realize where our day would be spent! We pass the entrance to Audubon Zoo every time we go to Children's Hospital. CHNOLA is literally right around the block from the zoo. We pass it so often, it's almost as though we forget that it's there, or that it is a happy place. Our minds are usually on other things. 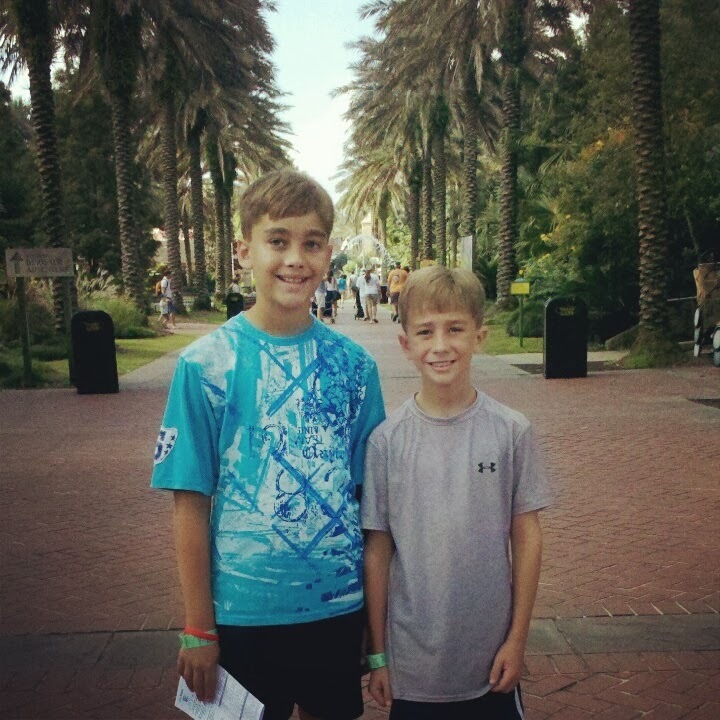 But on this day, New Orleans would be bring happy memories to Matthew and Conner. It would be a day filled with family, laughter, and a whole lot of clowning around! Mission accomplished! We live one day at a time, never knowing what is around the turn for us in Matthew's journey. We live for the good days and embrace the bad. This was one of the good days! Hopefully the next time we have to venture into New Orleans, this day will play in their minds, rather than have their thoughts filled with medical mystery. First of all, I am not a religious zealous. I am neither a pastor nor a medical professional. I am a working mom who is also a Christian that believes in God and heaven. 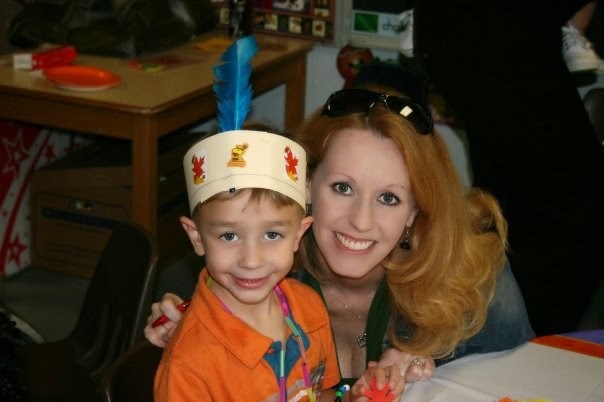 I am a mom that was thrust into the healthcare arena by being told I have a chronically ill child that will live the rest of his life with kidney disease. A condition, that up until he was 4 1/2, we had no idea was present. I have had to become educated on a variety of medical terms and conditions. This was a necessity in order to protect my child. I grew up believing in God, but I didn't have a full knowledge of just how impacting God was in our lives. After Matthew had his near death experience, I sought to really know and understand what had happened to my child. To do this I turned to my Bible. A book that before this time, I probably didn't pull out enough. I relied on the paper leaflets I got from church on Sunday with the printed scripture readings and prayers of the day. I was amazed at what I learned and developed a deeper understanding for so many things that happened in our lives. I am not a radical. I am just a wife and mother that puts her feet on the floor everyday and hits the ground running like every other working mom out there. My young son was given an unforeseen path in his life and I believe with every ounce of my soul that God has carried him through. He has shared a vision of what can only be described as heaven. Because of the unexpected events in our lives, my daily schedule is just much busier now. My day begins just as it always has, getting kids ready for school and making our morning commute. Now I juggle my career as a photographer with the passionate pursuit of being the founding president of the National Pediatric Blood Pressure Awareness Foundation. The NPBPAF was created in 2010 to protect other children from enduring the type of issues Matthew did, by providing increased blood pressure screenings and awareness. I educate and advocate on the need for increased blood pressure screenings for all children. Speaking publicly and professionally on Christian issues and Matthew's near death experience has allowed me to share the impact God has had in our lives and how He has made His unending presence known to our family. There was a day in the spring of 2007 that will be etched into the minds of my husband, closest friends, and myself forever. It was on that spring morning that we stood at my son's hospital bedside and prayed for God not to take him as we feared he was passing from this earth. A time when his eyes rolled back into his head and went completely unresponsive and lethargic. It was noted in his medical chart that he had an episode, during an interval of 3-5 minutes, of which could not be explained. After a full CT of his brain, we had a neurologist give us a simple answer of sometimes there are just things that can't be explained medically. It wasn't until the bravery Matthew showed by sharing his experience, did I really come full circle and know just exactly how close we came to losing him. I will say we all live a life of purpose now and have a strong desire to give back and help others. His story has helped many people already, privately, to heal and understand the peace and beauty that is on the other side. The prospect of his story being able to help thousands more after his story is finally shared publicly is amazing. On March 11, 2014, people will have the opportunity to know the full path of events. To learn more about Matthew's story or how to get your copy, visit www.celestegoodwin.com. If you are on www.goodreads.com, you can search A Boy Back from Heaven in the title section to find out how to preorder a copy. Interested in hearing more, don't forget to follow my blog! Can It Really Be That Beautiful? One thing is for certain, as humans, we ALL have one thing in common. We will ALL eventually pass away from this earth. Death is a certainty for every human being. It is the human cycle. It is part of God's plan for each of us. I would venture to go out on a limb and bet that each one of us has given at least a passing thought to what will really happen when we die. I know that I certainly have. Not so much as a teenager or even into my early and mid twenties. The maturity and life circumstances just wasn't there to fully grasp the magnitude and finality of death. But as I grew and saw the evolution of life, by witnessing those that I know and love age, I gave more than just a passing thought to what will really happen when our eyes close for the last time. To be completely honest, it scared me! I don't know that I had enough spiritual understanding in my twenties or early thirties to believe in my heart that the "other side" wasn't just a dark, void-less pit of nothing. It was this thought of dark and nothingness that made me fear death. There was a time that I truly feared dying and feared losing those I love one day. The fear emerged through thinking that they would be lonely or scared or alone. The reality is this is not what happens. The lessons I have been taught the past six years through the first hand account of my own little boy has allowed me to come to a peace in my heart at the thought of losing those closest to me. This is especially endearing now that I have a sick father and face the thought of losing him in the future. 1. tenderness, fondness, predilection, warmth, passion, adoration. 1, 2. Love, affection, devotion all mean a deep and enduring emotional regard, usually for another person. Love may apply to various kinds of regard: the charity of the Creator, reverent adoration toward God or toward a person, the relation of parent and child, the regard of friends for each other, romantic feelings for another person, etc. Understanding that Matthew saw something with the eyes and innocence of a child, that allowed him to freely express his full vision, gives us knowledge of the afterlife. He has described it as somewhere that he didn't want to return from. His visit was not to an overtly exaggerated placed filled with mystical beings, but rather just a space filled with the brightest white imaginable and he was surrounded by love. A feeling that gave him comfort and let him know he was protected. He has seen something that very, very few people have been fortunate enough to see and be able to share. To those that have had this gift, their life's purpose usually shines clearer to them. Their understanding and ability to live a life of purpose is a positive step. It is my personal opinion that the innocent eyes of the children are able to see and experience on a different level than adults when they are able to walk the edge of the threshold of heaven. Their lives have not been tainted yet by society's views and opinions of what can and can't be true. Who is to say it does not exist? One thing remains certain, we will all find out one day, because God will call each of us home. The fundamental ideas that I grew up with as a little girl followed me into adult hood. In many ways, it is the same set of general "be good" principles that parents have taught their children for generations. Many of the rules have their earliest meanings derived straight from the "Big 10" that is in our Bible's. As children begin to grow one of the most repeated and shared parenting mantras is, do unto others as you want them to do to you. (Don't take someone's truck or Barbie doll if you don't want yours manhandled away from you.) We've all seen the meltdown of a three year old who had his favorite toy taken away. The ten commandments that were scribed on those stone tablets have become a road map for the basic way human beings should go about day to day life. It is not something you have to have a degree in theology to understand. There are preschoolers who learn and adapt to these principles pretty easily. I repeat to my children the really simplistic set of guidelines that were laid out for each of us in hopes that they too will continue to lead their lives in the most Christian way possible. Always remembering that doozy that play repeatedly in our heads. Don't be a jerk to anyone, because you don't want anyone being a jerk to you. We try to get our children to think further into it. You shouldn't treat people badly, because it is just plain wrong! Not only because you don't want it done to you. Matthew has had a sincere desire to be a rule follower since he started school. He has never been one to get in trouble for breaking the rules. To date, I don't think he has ever had to move the dreaded stick in class. Each teacher has had her own set of rules and consequences since he started kindergarten. Each year there has been some form of moving a popsicle stick when a child breaks a class rule. Whether it be going from green, to yellow, then to red light. (Heaven help you if you go to red!) Matthew has always known that even moving to a warning was a danger zone he didn't want to get in to. As a toddler he followed a pretty straight path of doing what was right. But, after his life changing experiences of walking with the angels, he had a depth to his soul that always made him want to do what was right in God's eyes. We have been complimented many times through the years on how well behaved our two sons are. I wish we could take all of the credit. But, I don't think we can. Matthew had a great foundation of understanding how to treat others in a respectful way, but once his eyes witnessed the glory that he described as "pure love", it was as though he had a mission to prove that human kindness was not a lost form. People still possess the ability to truly love and understand without judgment. Having a little brother that thinks he is amazing, made it easy for Conner to want to emulate Matthew and his actions. Matthew's story and experience was life changing, not only for us, but for complete strangers. We are less than six months away from being able to share this amazing story with the world in A Boy Back from Heaven. Look for it March 11, 2014! Early order info can be found at www.celestegoodwin.com under the A Boy Back from Heaven tab. In the coming months, I will be updating the blog with relevant information that pertains to Matthew's story and journey. I invite everyone to follow along through this blog. Don't forget to share it! Super excited that a 2nd showing has been added to Unstoppable for our local theater. I just purchased our tickets. Looking forward to seeing Kirk Cameron's depiction and insight into where God is in the midst of crisis. I always remember what my mom told me growing up....everyone has something! And this holds true for everyone I know. We all face strife and difficulties in our lives. This is part of being human and growing. Whether the difficulty is an illness, loss of a job, or anything else that affects your life in a way that is hurts and burdens your heart, we all know the feeling of struggle. It is easy to give thanks and praise to God when times are great. Personally, I have always found myself turning to him quicker when times weren't so good. He is my rock and my salvation. Without the unending love that I feel and know that is ever present, I can't even imagine what the dark times of my life would have been. 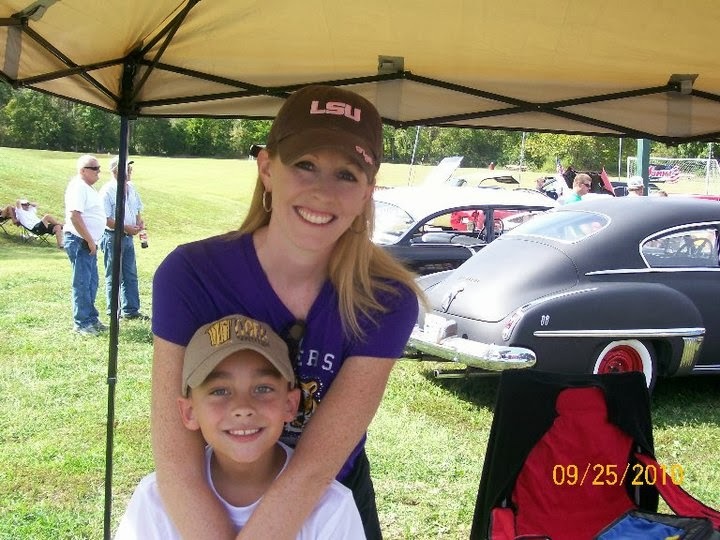 Learning and understanding that my son was chronically ill forever changed my landscape. We had four years of bliss with dreams and plans, but then to learn that Matthew is affected by kidney disease that will forever be a part of his life was surreal. When the understanding became harder and harder to process I had to give it to God. He has never left us. Life can be as simple or as complicated as we choose to view it. We are all constantly bombarded with the priority lists that must be balanced in order of importance. The higher the pile gets, the more delicate the balance becomes. But, there seems to be that tipping switch when the weight gets us down. It is when things begin to topple onto our heads that we begin to feel overwhelmed and not make the clearest of choices. Rushing to get numerous things done at once. Rushing through can lead to avoidable mistakes. When this happens, take a deep breath and remember that there is plan and purpose in everything that we do. God will not fail us, nor will He leave us unequipped. Seeing something that conjures up memories, good or bad, can be overpowering. We can sometimes hear, or even smell something that floods us with memories. This afternoon, after picking the boys up from afternoon carpool, we were headed home on our usual route. Traffic was no more or no less congested than it usually is. Our usual "ride home" convos were taking place. I was getting the run down on the day, how they did on their tests, homework for the evening, and, of course, the most attention grabbing facet of the day....what was for lunch! As I scooted through a traffic light at a busy intersection, the wail of an extremely loud siren blasted my left ear. It was as though the siren was resting on my shoulder. From a quick side glance, I couldn't see where it was coming from, but could hear the sound follow us. Looking into the rear view mirror, I could see the bright lights of the ambulance and hear the siren. It was still a ways behind me. I made my usual turn and carefully watched the rear view to see if the ambulance was taking the same track. Yep, it indeed turned. As it sped up and came closer I found a driveway to dart in to get out of the way. The moment the ambulance sped past our car, the wind swirled past as well. The siren was blaring and in that moment of seeing the rear of the vehicle, I was instantly flooded with an emotion that I wasn't prepared for. Tears swelled in my eyes and I was completely swept back in time by six years in an instant. The raw memories of the day Matthew made his journey from Baton Rouge to New Orleans rushed through me. Just a few minutes prior, nothing. Now, I am trying to regain composure before the boys realize I feel like I have a frog in my throat croaking to get out. Apparently, I wasn't the only one who was reminded by the sight and sound of the emergency vehicle. Matthew asks from the back seat, "Mom, did the siren stay on the entire time when I went to New Orleans?" I took a deep breath as I drove back onto the road and replied, "I believe it did buddy." Will we ever be able to hear the sounds of a siren without having those memories flood our minds? Probably not. But, it always gives us a kick in the rear to have just another reason to offer up a quick daily word of "THANKS" to the one who hears all! Yesterday was one of those days that made me really stop and relish in the little things. It is not the monster moments of life that define our past. The small moments of time that can be quickly forgotten are right up there in my book with the Disney World moments. Time spent sitting on the porch during an evening rain with my daddy. Listening to him share stories with my boys. Stories that will be cherished in the time to come. Then the pain sets in my gut.....what will we do when he's not here to share those stories? Flooded with emotion, all I can do is take a deep breath and convince myself that worrying about the "what's to come" and not enjoying every moment here on earth is much more important. The pain we will all share will be for our own personal loss and grief. There will be no more pain for him. He will see all the glory that can only be a part of God's amazing kingdom. Reunions with family and friends. No suffering each time he moves to catch his breath.